The due process hearing in this case convened on March 12, 13, 14, 15, 16, 27, 28, and May 4, 2012, before Administrative Law Judge (ALJ) Paul H. Kamoroff, from the Office of Administrative Hearings (OAH), State of California, in Fountain Valley, California. Vanessa Jarvis, Attorney at Law, represented Student at the due process hearing. Kenneth Campbell, student advocate, also represented Student and was present throughout the hearing. Student’s Mother (Mother) and Father (Father) attended each day of the hearing. Vietnamese translation was provided by Minh-Hanh Nguyen on March 12, 13 and 14, 2012; Timothy Nguyen on March 15, 2012; Vi Nguyen on March 16 and May 4, 2012; Lee Mary Ginter on March 27, 2012; and Hue Kindybal on March 28, 2012. Student was not present during the hearing. Jennifer Brown, Attorney at Law, represented the Fountain Valley School District (District). Abby Bickford, Director of Special Education for the District, and Robyn Moses, Program Director of the West Orange County Consortium for Special Education (WOCCSE), were also present on behalf of the District during each day of the hearing. On November 1, 2011, Mother on behalf of Student (Student) filed a Request for Due Process Hearing naming the District as the respondent. On December 9, 2011, the District filed its own Request for Due Process. On December 14, 2011, the cases were consolidated and a continuance was granted. On December 19, 2011, Student filed a First Amended Request for Due Process. At hearing, the ALJ received oral and documentary evidence. The following witnesses testified: Robyn Moses, Celeste Pepitone, Mother, Lara Epling, Laurie Ferri, Abby Bickford and Joan Hersh. At the request of the parties, the record remained open for the submission of written closing arguments. The parties filed their closing briefs on May 18, 2012. The matter was submitted on May 18, 2012. 1The parties stipulated that the offer of goals and objectives, speech and language services, psychological services and counseling services set forth in the June 15, 2011, IEP does not constitute a denial of FAPE to Student, and does not otherwise violate the Individuals with Disabilities in Education Act. 2) Was the District’s Behavior Intervention Plan (BIP) dated June 15, 2011, based on a Functional Analysis Assessment (FAA), appropriate such that District may implement the BIP without parental consent, should Student re-enroll in the District? 1) Did the District deny Student a FAPE in Student’s June 15, 2011, IEP, by failing to offer a one-to-one aide to support Student in his behaviors and social thinking in Student’s general education class? 2) Did the District deny Student a FAPE by failing to implement those components of the June 15, 2011, IEP to which Student’s parent provided consent? Student is six years old and has resided within the District during his entire educational career. During the latter part of the 2010-2011 school year, Student began manifesting serious behaviors while at school, which threatened his safety and the safety of those around him. Student attended school in the District until the beginning of the 20112012 school year, when his Parents unilaterally placed him at a private school. Student’s private school placement followed two IEP meetings, held in June and September 2011. The District asserted that the IEP’s provided Student a FAPE. The District also asserted that a BIP provided in June 2011, was appropriate and necessary to meet Student’s serious behavioral needs. The District presented substantial evidence to support its contentions that the IEP’s and BIP were appropriate to meet Student’s individual needs at the time they were offered. Student’s primary complaint was that Student’s unique needs had changed since the educational plans were offered. Student’s argument is misguided, as the appropriateness of an IEP must be examined at the time the educational plan was offered. Student also disagreed with the IEPs because he believed the District neglected to offer an aide to support him in the regular education class. However, the IEP’s clearly and coherently provided an aide to support Student during the regular education component of the school day. Student further asserted he was denied a FAPE because the District failed to implement the portions of the IEP which were agreed upon by his Parents. The evidence also established that the District was willing to provide the portions of the IEP which were agreed to, but was unable to do so because the Student did not attend the District’s school. For the following reasons, this Decision determines that the June 2011 IEP and BIP, and the September 2011 IEP, were procedurally and substantively appropriate. 1. Student is a bright, six-year-old male who at all relevant times resided with his Parents within the boundaries of the District. Student is eligible for special education and related services under the primary eligibility category of autism. Student has a secondary area of eligibility under emotional disturbance (sometimes ED). Student has unique needs in the areas of pragmatic language, social/emotional skills and serious behaviors. 2 The parties stipulated that this issue would be limited to whether a FAPE was denied by the conduct alleged in Student’s issues 1 and 2 only. 2. Student initially qualified for special education services under the designation of autism in 2008, when he was 3 years-old. Student exhibited developmental delays in the areas of socialization, communication, emotional/behavioral, sensory processing, adaptive and some pre-academic areas. Upon beginning his educational career and throughout the 2008-2009 school year (SY), the District provided Student related services and specialized academic instruction (SAI) in a structured, preschool, special day class (SDC) at Newland Elementary School (Newland), for the entirety of his school day. By all accounts, Student progressed academically in this placement. 3. For the 2009-2010 SY, through February 2010, the District continued to provide Student SAI in a SDC at Newland for the entirety of his school day. Student received related services in the areas of Applied Behavioral Analysis (ABA), speech and language (S/L), and occupational therapy (OT). Student, who has average cognitive abilities, continued to show academic progress in this educational program. 4. Due to Student’s academic progress, the District held an addendum IEP meeting in February 2010, to modify Student’s placement to include a blended preschool program for a portion of the school day. The blended program resembled a structured, high functioning SDC and focused on communication and socialization development. However, the blended program incorporated typically developing peers into the same class. The blended classroom included one credentialed Special Education teacher and two adult aides, and was limited to 15 students; 10 which were typically developing students and five which were special needs pupils with IEP’s. The blended program provided a unique opportunity where Student was provided specialized instruction in a small, structured SDC, while concurrently receiving grade level curriculum with typically developing peers. Given Student’s overall educational progress and transition into a lesser restrictive environment, the IEP team recommended decreasing Student’s ABA services. Along with every prior IEP, Student’s parents participated in this meeting and consented to this IEP addendum. 5. In April 2010, the IEP team convened an annual IEP meeting for Student. The team reviewed an updated Multidisciplinary assessment which found that, although Student possessed average to above average cognitive abilities, he had deficits in listening comprehension, social language and was ‘at risk’ for aggression. Although Student exhibited delays in socialization and social communication skills, he had shown strong educational progress in his school program. As such, the team recommended increasing the blended preschool program for the entire school day, along with pull-out S/L services and in-home ABA services. During this meeting, Mother shared with the team that Student was increasingly exhibiting behaviors at home, such as hitting and eloping, which Mother felt constituted safety concerns. The team discussed that Student was not exhibiting similar behaviors at school, but nonetheless agreed to provide Student a Functional Behavior Assessment (FBA), and a related Behavior Support Plan (BSP), to address the at-home behaviors. Mother consented to this IEP and agreed the District could begin developing a FBA and BSP for Student. 6. The IEP team met again on May 25, 2010, to discuss the FBA and create the BSP. Pursuant to Mother’s input, the BSP was developed to primarily target an increase in aggressive behaviors which had arisen at home. The targeted behaviors included hitting, kicking, whining, yelling, and/or throwing items and refusing to comply. In conjunction with this BSP and in addition to at-home ABA, the District’s autism specialist also agreed to collaborate with Parents regarding the use of behavioral strategies in the home. The team and Parents discussed that, at that point, Student had not exhibited these behaviors while at school. Consequently, the team and Parents agreed that Student should remain in the blended program at Newland for the entire school day. Parents consented to the BSP and IEP. Despite the increase of at-home behaviors, Student continued to progress in the blended school program. 7. For the 2010-2011 SY, the District placed Student in the blended program at Newland for the entire school day. While Student began the school year without any notable behavior issues arising at school, a significant increase in serious behaviors manifested at school during the second half of the school year. 8. On March 31, 2011, the District convened an IEP meeting to discuss an increase in Student’s problem behaviors at school. During class, Student was engaging in hitting, kicking, spitting, eloping and throwing items. In response to these behaviors, the District proposed to conduct an updated FBA and develop a new BSP; this time to address aggressive behaviors arising at school. Mother consented to the District developing a new FBA and BSP to address the Student’s at-school behaviors. 9. On April 12, 2011, prior to the completion of the new FBA and BSP, the District convened an emergency IEP meeting due to a serious behavior incident which occurred at school. The incident involved Student being defiant, destroying classroom property, urinating on the floor, spitting, tipping over furniture and throwing items at the staff. The District provided Parents a Behavior Emergency Report (BER) regarding the incident. The IEP recommended amending Student’s placement to include 90 minutes, daily, in a more restrictive SDC, and the remainder of the day in the blended preschool program. The IEP team also recommended conducting a Functional Analysis Assessment (FAA) to develop a Behavior Intervention Plan (BIP), instead of developing a new FBA and BSP, as agreed to at the last meeting. The IEP team believed a BSP, even if revised, would not provide sufficient support to address the behaviors Student was now exhibiting. Mother agreed to the FAA, but not to the change in the school placement. 10. On May 4, 2011, prior to the completion of the FAA, the District held another emergency IEP to address a second serious behavioral incident which occurred at school. This behavioral incident involved Student throwing items, knocking down classroom structures and furniture, hitting staff, pulling hair, kicking staff, and spitting at school staff. This conduct resulted in Student being physically restrained by District staff, who had been trained in a trauma-free restraint methodology called Professional Assault Respondent Training (Pro-ACT). The District provided Parents written notice of this incident in a BER. To address Student’s deteriorating behaviors; the IEP team again recommended amending Student’s placement to include 90 minutes in a more restrictive SDC, with the remainder of the day in the blended program. Mother again disagreed with the change in school placement. 11. On June 7, 2011, the District convened a third emergency IEP meeting to review another serious behavioral incident which occurred at school. This incident involved Student scratching and biting school staff, urinating on the floor, tearing things off the wall, kicking, screaming, stripping naked, self-harm, and throwing items. Again, District staff utilized restraint methods to physically restrain Student until his behaviors deescalated. The District provided written notice of this incident to Parents in another BER. The District did not offer modifications to Student’s educational plan at this meeting because it was still in the process of conducting its FAA and because Student’s annual IEP meeting was scheduled for the following week. 12. On June 15, 2011, the District convened an IEP meeting for Student to develop a new annual offer of a FAPE, including planning Student’s transition from Preschool to Kindergarten; to review a triennial evaluation; and to review the FAA. The IEP team reviewed Student’s present levels of performance, developed new annual goals and objectives, and proposed an offer of placement and services through the end of the 2011-2012 SY and extended school year (ESY). 13. Twelve people participated in the June 15, 2011, IEP meeting. District staff members included Abby Bickford, the District’s director of special programs, who attended as the administrative designee; school psychologist, Laurie Ferri; blended program SDC teacher, Joan Hersh; SDC teacher, Lara Epling; autism behaviorist, Maria Springer; speech and language pathologist, Celeste Pepitone, and; general education teacher, Pamela Blanket. The Student’s Mother, Father and attorney were present, along with several of Mother’s friends. 14. During this meeting, the IEP team reviewed Student’s present levels of performance in pre-academic, academic, cognitive and functional abilities. The team also reviewed the Student’s present levels of performance in speech and language, fine motor skills, attention, and social and emotional development. The team reviewed Student’s progress from his last years’ goals, including reviewing Student’s progress in receptive language, expressive language, reading, writing, math, social/emotional, vocational, adaptive/daily living, and fine motor goals. Parents and their attorney participated in this discussion, including asking various question regarding the Student’s progress and present levels of performance. The IEP team answered Parents’ questions, and their attorney’s questions, regarding Student’s present levels of performance, and did not limit their discussion regarding these concerns. The team also reviewed Student’s triennial Multidisciplinary team evaluation. 15. Student’s triennial evaluation was discussed and reviewed by various members of the IEP team. This evaluation was conducted by Laurie Ferri, Joan Hersh, Celeste Pepitone and Debra Farnum, the school nurse. The evaluation included a review of school records, Parent interview, Student interview, clinical observations, review of health and developmental history, the Wechsler Intelligence Scale for Children, Fourth Edition (WISC-IV), the Behavior Assessment System for Children, Second Edition (BASC-2), the Conners’ Rating Scale – Revised (Conners-3), the Woodcock-Johnson Test of Achievement, Third Edition (WJ-III), and the Wechsler Individual Achievement Test, Second Edition (WIAT-II). The school psychologist, Ms. Ferri, conducted the academic, psychological and cognitive portions of the assessment. 16. Ms. Ferri has over 30 years’ experience in psychology and counseling, with over 19 years as a school psychologist. Ms. Ferri has comprehensive knowledge, training and experience in autism, attention deficit, emotional disturbance, oppositional behaviors, social skills programming and behavioral interventions. She holds specialized training in Behavior Intervention Case Management (BICM), restraint interventions and research based instruction. Ms. Ferri obtained a bachelor of science in recreation therapy in 1980 and a master’s of science in counseling in 1983. She has been a school psychologist for the District since 1993, and has worked as the school psychologist at Newland for the past three years. She is very familiar with Student. Ms. Ferri previously assessed Student, and has observed Student on many occasions at school and at home. Ms. Ferri presented as a highly qualified and credible witness, who evinced a genuine and sympathetic understanding of Student’s challenges. Ms. Ferri participated in the June 15, 2011, IEP meeting, where she shared the results of the triennial evaluation with Parents and their attorney, and participated in the team’s FAPE offer. Ms. Ferri answered Parents’ questions and their attorney’s questions, and did not limit the IEP discussion in any manner. 17. Ms. Ferri shared that the cognitive test in the triennial evaluation, including the WISC-IV and WJ-III, revealed that Student’s cognitive functioning was in the average to low average range. Ms. Ferri also stated that this testing indicated disparities in Student’s verbal and nonverbal indexes. Ms. Ferri stated the triennial also revealed that Student has pragmatic and social speech impairments. Ms. Ferri’s observations, along with inventories from the BASC-2, indicated significant concerns in areas of Student’s social/emotional development, with clinically significant concerns found in the areas of aggression, hyperactivity, externalizing problems, adaptability, atypicality, interpersonal difficulties, and inappropriate behaviors in both the home and school settings. Ms. Ferri concluded that, in addition to autism, Student met the eligibility requirements for a student with an emotional disturbance. As to ED, the assessment determined that Student exhibited “inappropriate types of behavior or feelings under normal circumstances exhibited in several situations.” The assessment established that when Student feels angry or frustrated from a triggering event he will sometimes act out in a physically aggressive manner. The assessment found that Student’s emotional outbursts directly impact Student’s learning, disrupted his time in the classroom, and disrupted the learning of his peers. This assessment informed the team as to the Student’s present, unique needs and assisted the team in composing the IEP offer. 18. Ms. Pepitone, the District’s speech and language pathologist (SLP), conducted the S/L portions of the triennial assessment and participated in the June 15, 2011, IEP meeting. Ms. Pepitone received a master’s of science in speech pathology in 1983 and a bachelor of arts in communication disorders in 1980. Ms. Pepitone has worked as a private practitioner and as a school SLP for various school districts for just under 30 years. While she has provided SLP services to students of varying disabilities, she has primarily served autistic students. Ms. Pepitone is very familiar with Student and has assessed him on several occasions, including conducting his first S/L assessment when Student was two years old. In addition to assessing Student, Ms. Pepitone has provided him S/L services for over three years. She also observes him in class weekly. In addition to providing services to students at Newland, Ms. Pepitone has provided S/L services at Courageous Elementary school, which is also located in the District. Ms. Pepitone’s testimony was knowledgeable and provided dependable insight to Student’s needs. 19. Ms. Pepitone presented the results of Student’s triennial S/L assessment to Parents and their attorney at the June 15, 2011, IEP meeting. The S/L assessment revealed deficits in perspective taking, flexibility and semantics, which impact Student’s academic and social functioning in the school setting. After discussing the assessment and Student’s progress towards last years’ goals, the District proposed new S/L goals in the areas of social language, perspective taking, thought flexibility, expressive language, semantics and syntax. The team, including Ms. Pepitone, discussed Student’s needs with his Parents at this IEP meeting, including how the team believed Student’s social deficits were contributing to his negative behaviors. 20. Ms. Pepitone routinely observed Student in class and has witnessed an increase in Student’s negative behaviors, including hitting other students. To address Student’s social skill deficits and resulting negative behaviors, the June IEP team discussed providing Student a small, structured SDC at the beginning of each school day, with a transition to a later general education classroom. The daily, structured SDC would provide Student specialized instruction each morning, along with priming before his transition into the general education classroom. Priming is the process of teaching skills in a small, structured environment prior to generalizing those skills in a larger, less controlled environment. Ms. Pepitone testified that Parents and their counsel were active participants in the IEP discussion. 21. Ms. Hersh also assisted with the triennial evaluation, including collecting data for the academic and behavioral portions of the report. Ms. Hersh is a highly qualified special education teacher who has taught the blended preschool program in the District since 2004. Ms. Hersh obtained a bachelor of science, with honors, in elementary and special education in 1974. Ms. Hersh obtained a master’s of arts in special education in 1975. She has received various teaching awards, including an Excellence in Special Education Award in 2011, the Naset Outstanding Special Education Teacher Award in 2009 and the Golden Bell Award in 2008. Ms. Hersh has been a teacher for varying degrees of handicapped students since 1975, and has been a special education teacher for preschoolers in the District since 1999. Ms. Hersh is also very familiar with Student. Ms. Hersh has been Student’s teacher in the blended program, which Student has attended, first for a portion of the school day and then for the entirety of the school day, since the 2009-2010 SY. Ms. Hersh presented as a caring and thoughtful teacher who was genuinely concerned regarding both Student’s academic and behavioral needs. 22. Based upon the triennial evaluation, Parent input, teacher input and a comprehensive review of Student’s present unique needs, the IEP team formulated 12 new goals in the following areas: (i) social language, (ii) expressive language, (iii) behavior: eloping, (iv) behavior: physical aggression, (v) behavior: self-regulation, (vi) behavior: compliance, (vii) behavior: conflict resolution, (viii) behavior: solutions to conflict/problems, (ix) behavior: describing feelings/thoughts, (xi) behavior: modifying own behavior, and (xii) thought flexibility. Frontloading for changes in the class or schedule. 24. Following the goals and accommodations, the team provided an offer of placement and services for the 2011-2012 SY. The offer included SAI for 105 minutes per day, from 8:00 a.m. to 9:45 a.m. daily, in the Explorer program (sometimes Explorer). Explorer is a specialized program taught by a credentialed special education teacher. Explorer provides specialized instruction in a structured educational setting with individualized curriculum. It has an adult-to-student ratio of one adult to three students. The teachers in the Explorer program receive specialized training in social thinking, social communication and ABA. There are generally less than 15 students in the Explorer program, all of whom are at grade level or higher. Similar to Student, pupils in Explorer have average to above average cognitive abilities, but have delays in social skills, pragmatic language, and behavioral delays. Explorer permits “frontloading” of social, language and behavioral skills at the beginning of the school day. Following the Explorer program, the team recommended that Student transition, daily with an aide, to a general education Kindergarten class. 25. The District’s general education Kindergarten is divided into two classes, the “Early Bird” and the “Late Bird” classrooms. Each provides general education instruction at grade level curriculum. The Early Bird class runs from 8:00 a.m. to 11:20 a.m. daily. The Late Bird class runs for a longer period of time, 9:45 a.m. to 1:50 p.m. daily and, unlike the Early Bird, includes an unstructured component, a lunch break. 26. The team discussed that to meet his unique needs and recommended goals, Student required specialized instruction from a credentialed special education teacher. District witnesses Ms. Epling, Ms. Ferri, Ms. Hersh, Ms. Pepitone and Ms. Bickford, each testified in an informed and sincere manner, and provided credible testimony that Student’s unique needs required that he receive instruction in the Explorer program; which provided, in addition to daily, specialized instruction taught by a credentialed special education teacher, a weekly social skills component. To address Student’s serious behavior and social communication deficits, the IEP team determined that he also required priming prior to attending the regular education classroom. 27. After discussion amongst all team members, Parents and their attorney, the team recommended that Student’s educational placement consist of both the Explorer program and the Late Bird class, whereby Student would first attend the Explorer program and then transition, with an adult aide, to the Late Bird class. The team analyzed that Student, with the assistance of an aide, could generalize the social and behavior skills taught in the structured Explorer program into the Late Bird class, which includes both structured and unstructured components. Therefore, Student would first receive the specialized instruction and related services, along with priming, in Explorer, prior to attending a specific regular education class, the Late Bird class. 28. The District has one Explorer Kindergarten school program, which is located at Courageous Elementary School (Courageous). The Explorer classroom at Courageous is comparable to Student’s 2010-2011 SY placement in the blended preschool program at Newland; both classes provide a high-functioning SDC with instruction from a credentialed special education teacher, while providing grade level curriculum. The Late Bird class is also located at Courageous. ESY, which included social thinking and specialized academic instruction. 30. While Parents and their attorney participated in the development of the IEP offer, Parents did not agree with significant portions of the IEP. Request early bird general education with well training [sic]aide support full time. 32. Parents also disagreed with Student receiving specialized academic instruction and the ESY offer. Finally, Parents disagreed with the BIP, which the District offered in conjunction with the June 15, 2011, IEP. 33. During the June 15, 2011, IEP meeting, the team reviewed the FAA and related BIP. The purpose of the BIP was to address Student’s behaviors in the educational setting. Ms. Hersh and Ms. Ferri collected data from February through June 2011 for the FAA, including tracking the frequency of specific target behaviors. The FAA targeted behaviors included (1) eloping, (2) hitting/kicking and, (3) throwing/moving. The FAA also identified functions of Student’s behavior, including seeking to avoid social demands, to get what he wants, to maintain control, and attention seeking. The FAA identified and tracked antecedents for Student’s behavior, which included frequent distractions in the classroom which interfere with his functioning and task completion; pragmatic and social language deficits; and, difficulties with perspective taking. The FAA included data pertaining to instructional approaches which had been previously used with Student, and delineated preferred reinforcers for behavior management. 34. The District developed the BIP based upon the FAA, along with a thorough review of school records, a review of Student’s health and medical history, an interview with Mother, daily data taken over the course of several months, and multiple observations. The BIP included objective and measurable descriptions of the targeted behaviors identified in the FAA. The three target behaviors set forth in the BIP were “eloping, hitting/kicking, and throwing /moving [objects]”. A description of these behaviors was also set forth in the BIP. The BIP also included objective and measurable descriptions of appropriate replacement behaviors to be taught to Student. These included self-calming strategies, such as counting and breathing exercises, asking for help, going to a quiet area or requesting a break. The BIP included three goals which are specific to the behaviors and interventions and replacement behaviors identified in the FAA, and the BIP correlated to the eight behavior goals established in the June 15, 2011, IEP. The BIP included a description of the interventions to be used, including 15 interventions of varying approaches, none which utilize physical restraining the Student. The BIP described in detail the circumstances for the use of the interventions. The BIP detailed the modification of antecedent and consequent events which will be implemented as necessary to prevent the onset of the targeted behaviors (eloping, hitting/kicking, and throwing). The BIP detailed contingent behavioral interventions and special behavioral interventions that would be implemented before and during any incidences of targeted behaviors. The BIP included a description of how data will be collected to record the frequency of the use of interventions, the frequency of the targeted and replacement behaviors, and included criteria for discontinuing the use of interventions for lack of effectiveness. The BIP provided that such data will be collected on a daily basis and reviewed at least every three months, along with yearly review at the annual IEP meetings. The District reviewed the BIP and all of its components at the June 15, 2011, IEP team meeting. 35. Parents and their attorney had the opportunity to discuss the BIP with the team during the June 2011 IEP meeting. The BIP review took approximately 45 minutes and was not limited in time or scope. 36. Parents disagreed with the BIP because they believed it proposed utilizing a restraint system to address Student’s behaviors. Handwritten notes on the June IEP, wherein the BIP was offered, state that Mother disagreed with “Restrain [sic] systems through the school time.” Based upon this belief, Parents refused to permit the District to implement the BIP. In an attempt to address Parents’ areas of disagreement to the IEP, the District reconvened an IEP team meeting in early September, immediately following the summer break and prior to the beginning of the school year. 37. The IEP team reconvened on September 6, 2011, to further discuss Parents’ concerns pertaining to the District’s annual offer of a FAPE. 38. Twelve people participated in the September 2011 IEP meeting. District staff members included Abby Bickford, Lara Epling, Laurie Ferri, Courageous school Principal Chris Christenson, general education teacher Bridget Gersi, Robyn Moses, who is the District’s Special Education Local Planning Area (SELPA) director, along with the District’s attorney and a Vietnamese translator. Parents attended, along with their new advocates, Jim and Wiley Campbell (advocates). 39. Mother testified that she knew translation services were available for IEP meetings and school documents, but had chosen not to request these services prior to the September meeting. Her request for translation services coincided with the inclusion of the advocates and her retention of new legal counsel, who work together for the Special Education Law Firm (SELF). SELF also represented Student at the hearing. Mother had not previously indicated a need for translation, despite having had several special education attorneys represent her son over the past three years. During the September meeting, although a Vietnamese translator was present, at the onset of the meeting Mother stated she spoke English and did not require a translator. Following this comment, Parents did not utilize the translator and each parent spoke English intelligibly throughout the meeting. 40. The September 2011 IEP team provided five areas of clarification to Student’s educational program.3 First, the team reiterated that Student’s stay put placement would be the Explorer class, which is the most comparable placement the District has to Student’s last placement, the blended class. 42. Third, per Mother’s request, the September 2011 IEP team agreed to provide all of Student’s related services, including speech and language, counseling, and social skills, prior to the general education portion of his day. The team agreed that it was important to minimize transitions and disruptions to Student’s routine. 43. Fourth, Parents raised a new concern that they felt the length of the school day was causing Student to fatigue, which was contributing to his behaviors. While the team disagreed that Student appeared fatigued while at school, or that such had been observed as an antecedent to Student’s behaviors, the team agreed to collect data of any indication of fatigue. The team agreed to reconvene an IEP meeting in October to review the data pertaining to symptoms of fatigue, and whether this impacted Student’s academics or behavior. 44. Lastly, the September 6, 2011, IEP team again discussed the BIP. Ms. Moses and Ms. Bickford clearly explained the plan, specific interventions contained in the plan, and the training of staff that are responsible for implementing the interventions. Ms. Moses clearly described that consent to the BIP did not require Parents to consent to the “Emergency Behavior Interventions,” which include the prone restraint methods that Parents had expressed concern about. Ms. Moses explained the restraints were not part of the BIP and would be utilized only if the BIP is ineffective. 3 The parties jointly submitted an audio recording of the September 6, 2011, IEP meeting. In addition to testimony and documentary evidence, the audio recording informed this tribunal as to what was discussed during this meeting. 45. The September 2011 meeting also provided Parents, along with their advocates, an opportunity to further discuss the team’s placement offer. During this discussion, the advocates emphatically requested that the District provide the Early Bird class and eliminate the Explorer program, as desired by Parents. Advocates also suggested reducing Student’s related services, including eliminating counseling and social skills. While the team considered these suggestions and various placement alternatives, during this deliberation it became apparent that the June 2011 FAPE offer, including goals, services and placement, was adeptly based upon Student’s unique needs. Various team members, including Ms. Moses, Ms. Bickford and Ms. Ferri, reasoned that changing Students’ placement and eliminating services, as requested by advocates, would diminish the FAPE offer, which the District was obligated to provide Student. While the advocates failed to specify any quantifiable support for their requests, they did threaten “years” of litigation if the District failed to capitulate to the Parents’ desired placement. 46. Notwithstanding the threat of legal action, the team reiterated its offer to place Student in the Explorer program at the beginning of each school day, where he would receive specialized instruction, related services and priming, prior to transitioning to general education. The team discussed that, following the Explorer class, the District would place Student, accompanied with a support aide, in the Late Bird, general education class; where he would receive curriculum level instruction with typically developing peers. Any change to the June offer would diminish the FAPE offer in some manner, which was unacceptable to the IEP team. The team also reiterated its recommendation to implement the June 15, 2011, BIP. 48. Robyn Moses attended the September team meeting and discussed the IEP offer, including placement and the BIP, with the Parents and their advocates. Ms. Moses is the SELPA Program Director and Behavior Intervention Case Manager, has been a California school psychologist since 1989, a Pro-ACT instructor, and a presenter on autism, manifestation determinations, and behavior and emotional disorders in the school environment. She received her bachelor’s of science in child development with a minor in psychology in 1987 from California State University, Northridge, and her master’s of science in educational psychology and counseling in 1989 from the same institution. She holds a clear pupil personnel services credential; an administrative services credential and a professional clear administrative services credential. Similar to the June 2011 IEP team, Ms. Moses explained to Parents and their advocates the various reasons why Student required placement in the Explorer program. 49. Ms. Moses testified that Student required placement in the Explorer program for the following reasons: (1) to provide Student with direct instruction in the areas of social thinking and behavior, which is not available in a general education classroom, (2) to implement Student’s goals, which require specialized instruction and a credentialed, special education teacher, which are not available in a general education classroom, (3) to have an opportunity for a trained special education teacher to frontload and prime Student for his placement in general education on a daily basis, including preparing for any changes which may occur on any given day, and (4) to allow Student to participate in the social thinking group which was only offered in the Explorer program. Ms. Moses stressed the importance of Student receiving the Explorer program and BIP to address his autistic and emotional disturbance related needs, particularly those challenges associated with Student’s social, emotional and behavioral development. Ms. Moses presented as a highly qualified individual who was thoughtful and deliberative concerning Student’s particular needs. Similar to Ms. Moses, Ms. Pepitone and Ms. Epling each testified credibly as to the importance of Student receiving the Explorer program on a daily basis, prior to attending the general education class. 50. Ms. Bickford similarly testified in support of the Explorer program. Ms. Bickford is the District’s Director of Support Services, where she oversees all Special Education for the District. She previously served as the District’s Autism, Program and Inclusion Specialists. Ms. Bickford has a master’s of arts in special education, moderate/severe and multiple/CLAD teaching credentials from National University, and autism certification from the University of California, Davis. Ms. Bickford is very knowledgeable of Student and his family. She has observed Student on various occasions over several years, and has attended IEP meetings for Student and his two older brothers, who are also autistic. Ms. Bickford presented as a well-informed and credible witness. 52. Ms. Ferri testified that Student requires the specialized instruction and social skills development offered in the Explorer program, while being permitted to maximize his opportunity to be with non-disabled peers by allowing him a full day of general education Kindergarten. Ms. Ferri has witnessed Student attacking school staff, running naked in the classroom, urinating in the class and tantrum uncontrollably. Ms. Ferri stated that a failure to provide much needed specialized instruction to Student in the areas of social, emotional and behavioral development, including placement in the Explorer program and a BIP, would be a denial of FAPE and would be “extremely inappropriate” for Student. Ms. Ferri is a qualified special educator who presented as a believable and highly concerned witness. 53. Ms. Hersh also testified in support of the FAPE offer. Ms. Hersh stated that Student’s behaviors have risen to being unmanageable absent additional support services. Ms. Hersh has witnessed Student hitting and kicking other students, throwing objects, tearing off his clothes and running naked, tantrum and attacking school staff. Ms. Hersh has been forced to “evacuate” her classroom over 30 times between January and June 2011, as a direct result of Student’s escalating behaviors. A classroom evacuation occurs when Student’s behaviors rise to the level of being unmanageable by the teacher and classroom aides, and presents a serious risk of harm to Student, staff or his classmates. Ms. Hersh stated that an evacuation requires a termination of classroom activities, Student’s classmates being led outside the classroom to a separate campus location safely away from Student, and the calling of District staff who are trained in behavioral emergency interventions. Each evacuation lasts approximately one hour from the time Student begins the behavioral outburst until he can be calmed down; which is disruptive not only to Student’s education, but creates a significant disruption to the education of his fellow classmates. Notwithstanding Student’s serious behaviors, Ms. Hersh continues to believe that, given Student’s average cognitive abilities, he should have an opportunity to be educated in a general education classroom for a portion of the school day; so long as the general education placement is supplemented with specialized instruction such as the Explorer program and a BIP. Ms. Hersh presented as a diligent and credible advocate for Student, whose patience and ongoing diligence during a trying school year is commendable. 54. Overall, the District provided six highly qualified special educators, all of whom were directly familiar with Student and his unique needs. The District witnesses testified in a uniform and credible manner that the team considered Student’s unique needs in a deliberative, informed, and caring manner. The District’s recommendations were based upon data collected from direct observations and timely, appropriate assessments. A cohesive argument was provided that the subject IEP’s and BIP were appropriate to meet Student’s unique needs and would, if implemented, provide Student an educational benefit. The importance of providing the Explorer program prior to Student’s transition into the general education classroom, on a daily basis, along with the importance of implementing the BIP, was underscored with each witnesses’ testimony. 55. In sum, other than Mother’s testimony, Student presented no witnesses or evidence which disputed the appropriateness of the June and September 2011 IEP offers or the June 2011 BIP. Student called only two witnesses to support his case in chief, Mother and Robyn Moses. Ms. Moses acted as a representative for the District during the hearing and her testimony consistently supported the District’s contentions. Student recalled Mother as a rebuttal witness. Student presented no expert testimony to countervail the testimony provided by the District. Student failed to provide any documentary evidence, including an assessment of any sort, in support of his case. 56. Mother testified that she did not consent to the subject IEP’s because they failed to include an aide to support Student during his time in the general educational classroom. She also complained that the IEP’s failed to describe that the aide would receive ABA training. However, during hearing, after it was pointed out that the IEP’s explicitly offered an aide, and included ABA training for the aide, Mother testified she was content with the aide offer. No evidence was provided which impeached the quality of the District’s aide offer. 57. Mother testified that her primary disagreement with the BIP stemmed from a belief it included a provision that the District staff may physically restrain Student. Mother stated she was concerned Student would be harmed if the District was permitted to implement the restraint methodologies she believed were contained in the BIP. In regard to this area of concern, Mother referred to the last page of the BIP, which provided a detailed description of restraint methods listed under the title “Emergency Behavior Interventions.” Below this title, the following interventions were listed: (1) a chair restraint system, and (2) a four person prone restraint method. Consequently, the restraint methods were not part of the BIP. Rather, the restraint methods were emergency behavior interventions the District utilizes when there is no BIP, or when the BIP has been ineffective. 59. In contravention to Mother’s testimony, Ms. Ferri, who is a highly trained BICM and school psychologist, and Ms. Moses, who is also a highly qualified BICM and school psychologist, each testified that the BIP was developed in a manner which was appropriate to meet Student’s needs, and necessary to provide him a FAPE. 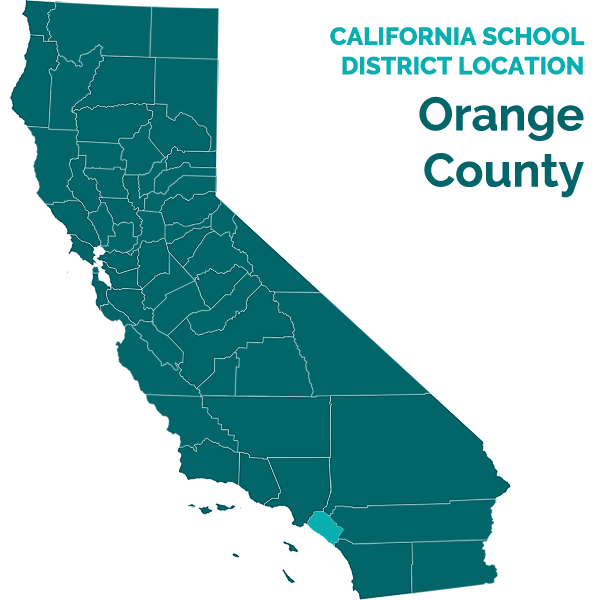 Ms. Moses testified that the testing procedures used, the methodologies included, and even the forms used to create the BIP, were established by the SELPA and have been approved by the Orange County Department of Education. Ms. Ferri and Ms. Moses testified that the District designed the BIP to meet Student’s individual needs, with the goal to decrease the need to utilize the physical restraint methods. This included developing a BIP whereby positive replacement behaviors, not physical restraints, would be utilized to diminish Student’s escalating behavior. Ms. Moses, Ms. Bickford and Ms. Ferri each testified that District staff responsible for utilizing the restraints are highly trained and experienced individuals. These individuals utilize a methodology process labeled “Pro-ACT,” which requires initial and ongoing training. The Pro-ACT methodology is designed to restrain the student in a manner that does not harm the student or those around him. Nonetheless, the District witnesses testified the primary purpose of the BIP was to prevent the escalation of Student’s behaviors so that the need for behavioral emergencies, such as the restraint interventions which Mother disagreed with, are reduced or eliminated. In fact, the District had previously used the restraint methods indicated because Student had not had a BIP, as stated in the BER’s previously provided to Parents. 60. Student also argued that the BIP was not based upon accurate data. Mother testified that a behavior inventory that she completed included incorrect responses regarding Student’s behaviors. However, it was not established that this inventory was used as a basis for the FAA or BIP. Moreover, the disputed inventory responses indicated similar behaviors to Student’s present conduct, per Mother’s own testimony. As such, this argument was incoherent and little weight was given to this particular complaint. 61. No credible or coherent argument was provided by Student which impeached the appropriateness of the BIP, nor did Student offer an expert to counter the substantial evidence presented by the District. Student failed to provide credible evidence to establish that the BIP, or even the emergency restraints, would be unlawful or harmful. Notably, Mother testified at various times that she agreed that the remainder of the BIP, outside of the emergency restraints, was appropriate to meet Student’s unique needs. 62. Student began attending the private school, Sts. Simon & Jude Catholic School (private school) approximately two days following the September 2011 IEP team meeting. While Mother could not remember when she first enrolled Student at the private school, she remembered the enrollment process predated his first day of attendance. Based upon this timeline, it is highly likely that Student was enrolled at the private school prior to the September 6, 2011, IEP meeting. District witnesses and Mother all testified that Student had not attended, or attempted to attend, the District during the 2011-2012 SY. Mother testified that Student’s attendance at the private school was based upon a unilateral, parental choice. Mother further testified that Student was not receiving any specialized instruction or services at the private school. Mother also testified that Student was not receiving aide support at the private school. 64. Other than invoices and Mother’s testimony, the Student failed to provide any information pertaining to the private school, its appropriateness to meet Student’s unique needs, or Student’s progress while at the private school. 65. Mother testified that Student has had behavior incidents while at the private school, including hitting, kicking and tantrums. To explain Student’s difficulties at the private school, Mother reasoned it would take Student approximately one year to fully acclimate to the new school. 66. Mother also testified that she had not been told by anyone working for the District that the agreed upon goals and services contained in the June 15, 2011, IEP would not be implemented upon Student’s return from the private school to a District school. 67. Based upon Parents’ notes written into the June 15, 2011, IEP, the discussion recorded from the September 6, 2011, IEP, various letters, and Mother’s testimony, it is clear that Parents did not agree with placing Student in the Explorer and Late Bird classes, and instead desired that Student be placed solely in the Early Bird class. 68. However, Student failed to provide any evidence showing how the IEPs and BIP were not appropriate to meet his unique needs. To the contrary, Mother testified that Student did have serious behaviors and social impairments which manifested at school. Mother testified she was routinely informed of these challenges by District staff; Mother was kept abreast of Student’s significant behavioral problems through timely BER’s and frequent communication with Student’s teacher and District staff. Mother had even sought help from the District when Student’s behaviors had become unmanageable at home. Mother was aware that Student’s behavior had disrupted his education and that of his peers. Mother also testified that she had agreed that the 12 IEP goals, which required specialized instruction and support services not attributable to the general education class, and which required the Explorer program and the BIP, were appropriate for Student. Parents sent a separate letter to the District wherein they reiterated their dissent to the BIP, and requested that a different behavior support system be developed. In regard to this letter, Ms. Moses testified that she personally consulted with Ms. Bickford regarding the nature of the aide services being offered to Student, including that the aide would be specific to Student and trained in ABA and Pro-ACT methodologies. 721. On August 18, 2011, Student’s counsel provided a letter reiterating dissent to the Explorer program, BIP and ESY. Due to the areas of disagreement, Student’s counsel requested that “stay put” be provided as to Student’s placement.5 This letter explained that stay put should be a classroom similar to the “blended preschool program” Student had received during the 2010-2011 SY. 72. On September 2, 2011, Ms. Moses responded to the August 18 letter. Ms. Moses acknowledged Parents’ dissent to the placement offer contained in the June 15, 2011 IEP. Regarding Student’s request for stay put placement, Ms. Moses explained that the blended preschool program did not exist for Kindergarten. Therefore, Student would need to receive his specialized academic instruction, as called for in his last agreed upon placement, in a comparable, alternative setting. Ms. Moses explained that the Explorer program was the least restrictive setting available in which to receive a comparable placement to the blended program. Similar to the blended program, the students in the Explorer program are high functioning, with average to above average academic and cognitive abilities, with similar profiles to the special education students in the blended preschool class. The teacher and curriculum are also similar to what is found in the blended class. Ms. Moses explained that the Explorer class was the most comparable to what Student received in the blended preschool program, and therefore would be considered his stay put placement. 74. In regard to Ms. Moses’ letter of September 2, 2011, Mother testified that her attorney had received this letter and that she understood the District had offered to provide Student the related services which had been agreed to from the June 15, 2011, IEP. Mother was unable to identify any document or District staff which conveyed an unwillingness to provide Student with the agreed upon services. 75. Following the September 2, 2011, letter, the District presented the September 6, 2011, amendment IEP, which Parents refused to sign. 76. On October 5, 2011, approximately one month after Student began attending the private school, Student’s counsel sent correspondence to the District. This letter states: “On [Mother’s] behalf, we hereby memorialize the rejection by [Student’s] parents of placement offered by the District….” This letter further states that Mother did not believe the District offered Student a FAPE. Also contained in this letter was the first notice that Mother would be seeking reimbursement for expenses incurred by placing Student in the private school. 77. On October 24, 2011, Ms. Moses sent another letter to Student, again emphasizing the District’s willingness and ability to provide the portions of the June 15, 2011, IEP which the Parents had provided consent. Ms. Moses provided substantial testimony clarifying and supporting the various letters which she had sent to Student’s counsel. 78. The various letters which went back and forth between Student and District highlighted three significant matters, including (1) Student’s dissent to the IEP placement offer, (2) a disagreement amongst the parties as to what a stay put placement would resemble, and (3) the District’s willingness to provide the agreed upon portions of the IEP. 79. A totality of the evidence shows that the June and September 2011 IEP’s and June 2011 BIP were designed to meet Student’s unique needs and provide him a FAPE. The District established that the educational plans were based upon timely assessment and data, and recommended by informed, caring and credible witnesses. Parents and their representatives were able to review the educational plans with qualified District staff. The evidence also clearly demonstrated that the District offered in a coherent and understandable manner a support aide to address Student’s behavior and social impairments during the general education portion of the school day. As to the District’s failure to provide the agreed upon portions of the June 15, 2011, IEP, Student fell far short of substantiating that the District would have failed to provide these services had Student attended Courageous. 1. In a special education administrative due process proceeding, the party seeking relief has the burden of proof. (Schaffer v. Weast (2005) 546 U.S. 49 [126 S.Ct. 528].) The present matter involved two consolidated cases. Student and the District, by seeking relief in their respective cases, assumed the burden of proving the essential elements of their claims. District’s Issue No. 1: Did District’s offer of placement and services in Student’s June 15, 2011 IEP, as amended on September 6, 2011, constitute an offer of FAPE, such that District may implement it in its entirety without parental consent, should Student re-enroll in the District? 11. As credibly testified by Ms. Bickford, Ms. Hersh, Ms. Pepitone, Ms. Epling, Ms. Moses and Ms. Ferri, the educational program developed in the June 15, 2011, IEP and as amended in September 6, 2011, IEP, was collaborative between all parties, including Parents. The IEP resulted in a creative, yet balanced program for Student. Student’s academics could be advanced, rigorous and at grade level, yet he would still be provided with appropriate specialized instruction in a social and behavior intensive program. He would also receive aide support during general education, and related services and support during the Explorer program so as not to disrupt his time in general education. Student would be taught at State standards, while allowing him to practice his social skills in a controlled forum. (Factual Findings 12–29 and 48-55.) The District’s offer of placement and services as contained in the IEP’s provided a thoughtful and deliberative program which constitutes a FAPE for the 2011-2012 school year. 12. In sum, based on Factual Findings 12 through 30 and 48 through 55, and Legal Conclusions seven through 11, the District’s June 15, 2011, IEP offer, including its placements for the 2010-2011 SY, complied with the substantive requirements of the IDEA. It addressed all of Student’s unique needs and was reasonably calculated to allow him to obtain meaningful educational benefit. 13. An IEP must contain the projected date for the beginning of services and the anticipated frequency, location, and duration of those services. (20 U.S.C. § 1414(d)(1)(A)(VII); Ed. Code, § 56345, subd. (a)(7).) The requirement of a coherent, formal, written offer creates a clear record that helps eliminate factual disputes about when placements were offered, what placements were offered, and what additional assistance was offered to supplement a placement. It also assists parents in presenting complaints with respect to any matter relating to the educational placement of the child. (Union School Dist. v. Smith (1994) 15 F.3d 1519, 1526 (Union).) Based on Factual Findings 12 through 29 and 37 through 47, the June 15, 2011, IEP offer was as clear as it could reasonably be in its statement of the proposed beginning of services and the anticipated frequency, location, and duration of those services. In the alternative, any violation was de minimus and did no harm either to Student’s education or Parents’ right to participate in the decision-making process. 16. In light of this preference for the LRE, and in order to determine whether a child can be placed in a general education setting, the Ninth Circuit Court of Appeals, in Sacramento City Unified Sch. Dist. v. Rachel H. (1994) 14 F.3d 1398, 1403, adopted a balancing test that requires the consideration of four factors: (1) the educational benefits of placement full time in a regular class; (2) the non-academic benefits of such placement; (3) the effect the student would have on the teacher and children in the regular class; and (4) the costs of mainstreaming the student. 18. In sum, based on Factual Findings 12 through 30 and 47 through 55 and 59, and Legal Conclusions nine through 17, the District’s June 15, 2011 IEP offer would place Student in the LRE. It would place Student with typically developing peers in all the situations in which Student’s education can be satisfactorily pursued there, and in the more restrictive setting of an SDC for the individualized instruction and services that can be appropriately delivered only in such a setting. 19. In the present matter, the parties stipulated that the offer of goals and objectives, speech and language services, psychological services and counseling services set forth in the June 15, 2011, IEP does not constitute a denial of FAPE to Student, and does not otherwise violate applicable state of federal laws. In addition to this stipulation, the Student failed to raise any procedural complaints to the June 15, 2011, or September 6, 2011, IEP’s. 20. Student asserted two complaints to the June 15, 2011, IEP. 21. First, Student argues that the educational plan is defective because “it failed to provide for an aide the IEP team agreed was needed.” As determined herein in Legal Conclusions 44 through 62, the IEP sufficiently offered Student aide support. 23. Student attempts to constrict the District with an artificial Catch-22. First, Parents restricted the District’s ability to obtain updated information regarding Student; Parents refused to sign release of information forms, prohibited District staff from observing Student at the private school, and prohibited the private school staff from discussing Student with the District. Following this conduct, Mother complained that the District failed to obtain information pertaining to Student’s abilities while at the private school. (Factual Finding 63.) Student’s argument fails as being inequitable. More importantly, the argument that the June 15, 2011, IEP is defective because it does not reflect Student’s needs for school years following the subject school year, 2011-2012, highlights a serious misunderstanding of applicable law. 25. Finally, Student’s reliance on 20 U.S.C. § 1414(d)(A)(i) is also misplaced. This section provides that an IEP is updated at least annually. Here, there is no allegation that the District failed to provide Student an annual IEP. Moreover, there is no allegation that the District would refuse Parents’ request for an updated IEP, should Student re-enroll in the District. 26. The testimony of each District witness regarding the appropriateness of the June 15, 2011, IEP was credible and compelling. In particular, each witness with a professional degree has extensive experience and qualifications, and has dedicated her career to the education and improvement of disabled children. The District based the June 2011 IEP on a balanced consideration of the information concerning Student available at the time of the meeting. The District IEP team members carefully reviewed such information, established Student’s needs, formulated goals to address the needs, and offered a program designed to help Student make progress on the goals. 27. For the foregoing reasons, the District established by a preponderance of evidence that the June 15, 2011, IEP, and the September 6, 2011, amendment IEP, provided Student a FAPE. District’s Issue No. 2: Was the District’s Behavior Intervention Plan (BIP) dated June 15, 2011, based on a Functional Analysis Assessment (FAA), appropriate such that the District may implement the BIP without parental consent, should Student re-enroll in District? 42. Ms. Ferri, Ms. Moses, Ms. Bickford and Ms. Hersh each testified credibly that the BIP developed was appropriate to meet Student’s unique behaviors, and was necessary to provide him a FAPE. (Factual Findings 49, 51-53 and 59.) This tribunal agrees that the BIP was based upon appropriate assessment and observation of Student, met all lawful requirements, and was necessary to provide Student a FAPE. 43. In summation, the BIP did not deny the Student a FAPE. Evidence overwhelming established a clear and present need for significant behavior intervention, and the District appropriately delivered on this need. The District discussed the BIP with Parents and offered the BIP in a clear and coherent manner which Parents understood in making their decision whether to accept the BIP. It was based upon a legally sufficient FAA, parent interview, review of records, and systematic observation. It identified target behaviors and positive replacement behaviors, included a manner to track the target behaviors and scheduled reviews of the efficacy of the behavior plan. (Factual Findings 33-35.) The District carefully designed the BIP to address Student’s unique behaviors and met all legal requirements. Student’s Issue One: Did the District deny Student a FAPE in Student’s June 15, 2011, IEP by failing to offer a one-to-one aide to support Student in his behaviors and social thinking in Student’s general education class? 46. One-to-one aide assistance can be included in IEP designated instruction and services if required to assist an individual with exceptional needs to benefit from special education. 50. As such, the IEP written documents clearly and coherently provided Student an aide, including specifying that the aide will support Student while in general education, the nature of the support and the duration and frequency of the support. 53. The District provided six witnesses to the IEPs and IEP process. All of the District’s witnesses testified in a credible manner that Student was offered an aide, the aide would be provided uniquely for Student, to support his social and behavioral needs whenever he was in the general education classroom, and the aide would be appropriately trained to meet Student’s unique needs. Moreover, Ms. Bickford provided credible testimony which established that the District had taken steps to implement the aide when Student returned to school. The District contended that the IEP document as a whole clearly laid out the District’s FAPE offer, and the offer was reiterated by Ms. Moses’s July 11, 2011, correspondence which reviewed the discussions at the IEP meetings, information considered by the team, the offer itself and the reasons for the team making the specific offer. The District also argued the June 15, 2011, IEP, including the aide support, was clear and understandable to the Parent, and was again clearly delineated in the September 6, 2011, amendment IEP, which was also understood by the Parents. (Factual Findings 23(a), 29(d) and 41.) Pursuant to the evidence provided, the District’s contentions are correct. 58. The aide was offered in a clear and coherent manner, and was understandable to Parents. Student’s technical objection to the location of the written offer is not supported by law. 59. In his closing brief, Student also asserts that the aide offer was defective because the subject IEP’s failed to set forth the qualifications of the aide, and methodologies that the District was going to use to train the aide. Again, Student’s argument is misguided. 62. In conclusion, the June 15, 2011, IEP provided a clear and coherent offer, which included a support aide, which Parents understood in making their decision whether to accept the offer. The September 6, 2011, amendment IEP supplemented this offer in a clear and concise manner, which the Parents also understood. No further description of the aide services was required. The aide support as offered by the District did not deny Student an educational benefit nor did it impede Parents’ ability to participate in the IEP process. Student’s Issue No. 2: Did District deny Student a FAPE by failing to implement those components of the June 15, 2011, IEP to which Student’s parent provided consent? 63. Student complains that the District denied him a FAPE by refusing to allow him to attend general education Kindergarten without the Explorer program. Student asserts two legal theories which would require the District to provide Student a general education placement. First, Student argues that the District was obligated to provide general education because it was an agreed-upon portion of the IEP. Student simultaneously asserts that, while placement was not an agreed-upon portion of the IEP, the District was obligated to provide Student general education as Student’s stay put. Student errs on both theories. 64. California Code of Regulations, title 5, section 3042, defines “educational placement” as “that unique combination of facilities, personnel, location or equipment necessary to provide instructional services to an individual with exceptional needs,” as specified in the IEP. 66. Student asserts that Parents’ unilateral demand for the Early Bird general education class, without the Explorer program, required the District to provide such, instead of the IEP’s stated placement offer. Student mistakenly cites Title 34, Code of Federal Regulations section 300.300(d)(3), as controlling legal authority. This section provides that a school district must not use a parent’s dissent to a particular service as a basis for denying an agreed upon service. (34 C.F.R. § 300(d)(3) (2006).) Here, Parents failed to give unambiguous consent to the IEP team’s clear and coherent offer of placement, which was the Explorer and Late Bird classes. (Factual Findings 30, 31, 45, 47, 56 and 69-78.) As such, the authority relied upon by Student is inapplicable. 67. Student further asserts that his request for the Early Bird class negated or altered the IEP’s explicit placement offer, thereby requiring the District to implement Parents’ unilateral choice regarding placement. Student fails to provide any legal authority to support this theory. 68. Contrary to Student’s argument, a school district has the right to select a program for a special education student, as long as the program is able to meet the student’s needs; the IDEA does not empower parents to make unilateral decisions about programs funded by the public. (See, N.R. v. San Ramon Valley Unified Sch. Dist. (N.D.Cal. 2007) 2007 U.S. Dist. Lexis 9135; Slama ex rel. Slama v. Indep. Sch. Dist. No. 2580 (D. Minn. 2003) 259 F. Supp.2d 880, 885; O’Dell v. Special Sch. Dist. (E.D. Mo. 2007) 47 IDELR 216.) Therefore, the District was under no obligation to provide Student a placement which was not offered in the IEP. 69. In the alternative, Student argues he was entitled to a general education placement of his choice pursuant to stay put. 71. Here, during the hearing and in his closing brief, Student argued that the District was required to provide him a general education placement of his choosing as his stay put placement. The Student further asserted the District is required to provide him compensatory education due to its failure to provide him the stay put placement of his choosing. However, Student failed to allege a stay put violation as an issue for the present case. Moreover, the District has not agreed to the addition of a stay put related allegation for this case. Consequently, this Decision will not consider the Student’s stay put claim. Student’s Issue No. 3: If the District denied Student a FAPE in his June 15, 2011, IEP, are Student’s parents entitled to reimbursement for costs and expenses incurred for Student’s placement in private school for the 2011-2012 school year ? 74. Student asserts that the District should be required to reimburse Mother costs attributable to the private school he attended during the 2011-2012 SY. As clarified by Student’s counsel, this request for reimbursement correlates solely to Student’s claims. 75. Regarding Student’s first issue, as determined in Legal Conclusions 44 through 62, the aide support as offered by the District was appropriate to meet Student’s unique needs and was offered in a clear and coherent manner which was understandable to Parents. 76. Regarding Student’s second issue, as determined in Legal Conclusions 64 through 72, Parents’ dissent to the placement offered by the District, as facially contained on the IEP itself and reiterated in various letters from Student’s counsel, along with the testimony provided at hearing, substantially showed that Parents disagreed to the placement offered by the IEP team. Moreover, Parents’ request for general education was ambiguous as it did not reflect the specific placement offered by the District. The evidence further established that the District was willing to provide the agreed-upon portions of the June 15, 2011, IEP, but was unable to provide such solely due to Parents’ unilateral action of placing Student at the private school. 1. The District’s June 15, 2011, IEP, as amended by the September 6, 2011, IEP, offered Student a free appropriate public education in the least restrictive environment. 2. The District’s June 15, 2011, Behavior Intervention Plan was appropriate. 3. Student’s request for relief is denied. The decision in a special education administrative due process proceeding must indicate the extent to which each party prevailed on the issues heard and decided. (Ed. Code, § 56507, subd. (d).) Here, the District prevailed on each issue presented. 6 In its Closing Brief, absent a motion and contained solely in the “Conclusion” paragraph, the District requested that an Order to Show Cause for sanctions be issued against the Student and his counsel, pursuant to 20 U.S.C. § 1415(i)(3)(B)(i)(II). District’s request for sanctions requires an accompanying motion and will therefore not be considered in this Decision. This is a final administrative decision, and all parties are bound by it. Pursuant to Education Code section 56506, subdivision (k), any party may appeal this Decision to a court of competent jurisdiction within 90 days of receipt.